I’m Here to Help You, Kim Kardashian! Like a lot of small-business owners, I spend my free time sitting at the bar, telling my friends and random winos that my career would be MADE if only a huge celebrity bought something from me. Well, I think my overnight success must be nigh because Kim Kardashian‘s 72-day marriage is over and who should she come to for that pesky unwanted-engagement-ring problem besides moi? Kim's engagement ring by Lorraine Schwartz. Photo from Hollywood Life. Click for source. 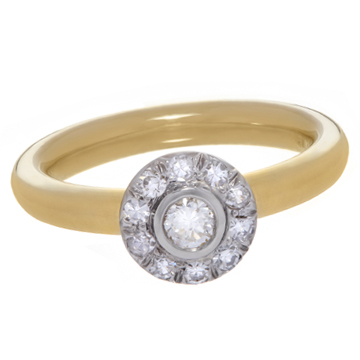 It would be awful to try to return the ring to the original designer, Lorraine Schwartz. Lorraine has probably used that money to pay bills already! Your personal mistake shouldn’t be her business problem. Because I specialize in redesigning jewelry for any reason whatsoever, I’m ready to step in and help. I’m envisioning a pendant and non-matching earrings, heavy on yellow gold and medieval influences to get away from that typically “engagement-ring” look. Kim, here are a few of my custom designs that used existing stones. Some were turned into other engagement rings; some into something new entirely. Click the photos for more information. Tracey's engagement ring, made with her grandmother's diamonds. I used an old pair of earrings for Heather's ring. 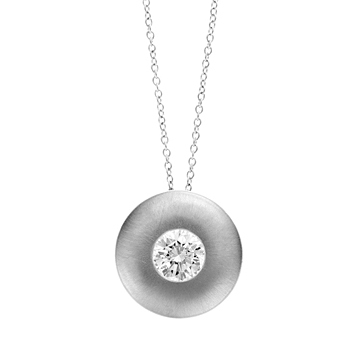 When my mother lost one diamond stud earring, I made the other into a pendant. 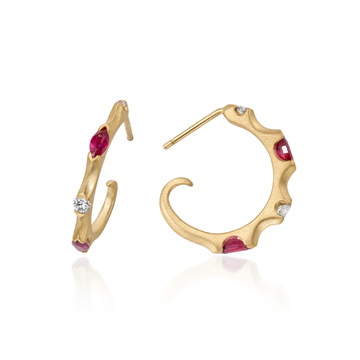 The rubies in my sister's earrings originally came from a ring. They were then used in a necklace and finally used in this design. As you non-Kardashians can see from the above examples, you don’t have to be a reality-show star to get a piece of jewelry redesigned. Just holla at me at wbjewelry at hotmail dot com, tell me what you’ve got and what you’d like to do and what your budget is. Let’s talk! UPDATED TO ADD: Maybe I spoke too soon, Kim. If you plan to get engagement/married a lot, don’t do anything with the diamonds right away. Wait till you get some more and then make a major piece like the late actress Paulette Goddard did. In his book Holy Terror: Andy Warhol Close Up, Bob Colacello quotes Warhol-crony Goddard as saying of her diamond necklace, “They’re all my old engagement rings. I always sent back the setting and kept the rock.” Oh, the ruthless glamour of it all! That’s a design I’d love to do. I cant think of a better person that needs a ring remodel right now! Your redesigns are masterful! I think she should totally come to you to get it remade. Reduce, recycle, reuse. ;D Celebrities should be green about their jewels too, right? Even though my jeweler made all of Kim Kardashian’s wedding jewelry, I still like your jewelry designs better. You’d be the right person to take the jewels into custody for sure! Was it by chance that my anti spam word was Ms Piggy?!! Yes she needs your help or do you think she’ll give it to the maid? She’s a rum ‘un! Poor KimKard, such a terrible thing to have a ‘marriage’ go belly up so soon. I’m sure she worked hard at it given she is such a workaholic. (LOL) I don’t think her taste level would stretch to a WB design unfortunately! Kim would be wise to hire you…these re-designs are gorgeous! Your designs are so spectacular. I continue to visualize and will let you know when I am ready!!! Wow! your remodels are gorgeous. I’m not a great Kardashian fan (am I the only non-fan on the planet? ), and am just wondering if it was all just a huge money-making idea. Apparently she made millions from the whole wedding shennanigans! Poor Kim. Maybe we could all get in this idea and spread the word so it goes viral and Kim will have to hear about it and get inspired to give you a holla? Perhaps you can also teach her some life lessons as well. Build up a solid relationship and living together before marriage would be a wise one. Hope she reads this post and hires you! Nah, she needs to teach me her get-rich-quick schemes. They work! Kim needs a reality check, but I’m sure you don’t take those as payment! here to hoping that Miss Kim shall hear your message of hope… there is always life after THE jewelry! Kim K. would do well to heed your advice. You could do a rockin pendant with that big a$$ stone. Wow, your sister’s earrings are stunning! So original. I think your plan may be perfect….and frankly I think there may be a never ending supply of engagement rings that need to be redesigned! Haha I love this. 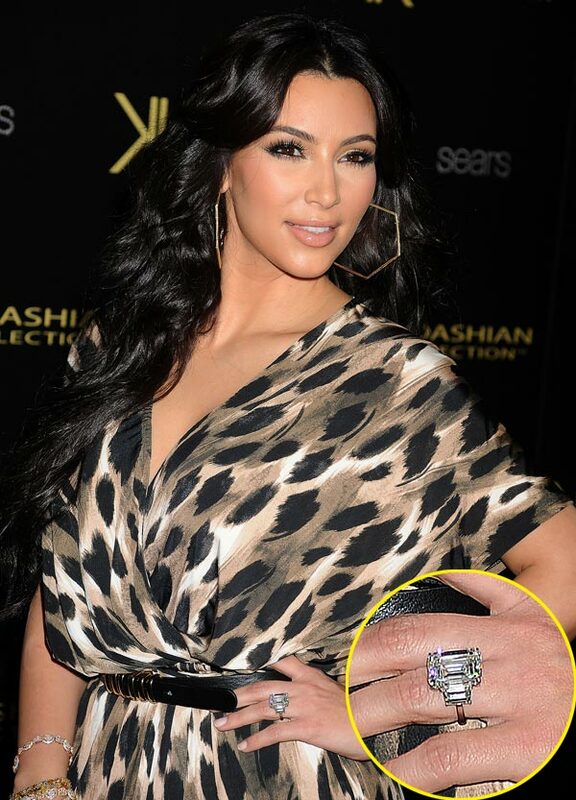 That’s some rock on Kim’s ring but I will wait patiently for the day that you get to make an epic necklace from her engagement rings! That pendant is stunning!!! 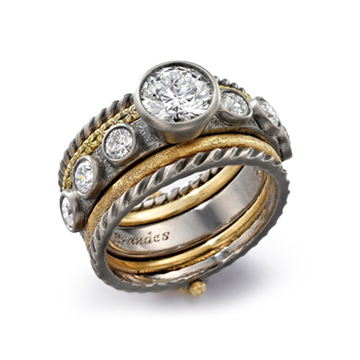 I love the idea of using the engagement/wedding ring for another piece of jewelry. Reduce, reuse, recycle! i feel like a random wino who is also a friend! that ring could become many rings. What gorgeous redesigns! I love Susan’s new ring. KK’s stone is big enough for quite a few interesting pieces. Let’s hope you get to hook her up. Haha! This is the funniest post based on the Kim/kris divorce. I’m so sick of them! But great idea on your part, she definetly needs a redesign! This is a really good idea — I love the redesigns you posted. The idea of using multiple past engagement rings to make one fabulous necklace is pretty amazing, actually. 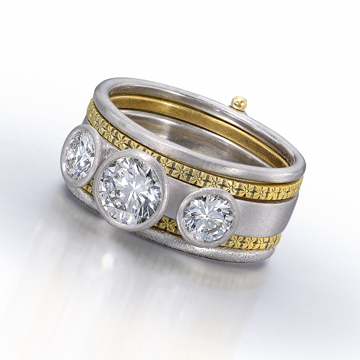 Love your post and how you focus on helping with some redesign ideas for her wedding ring. Really, really well written. Good luck! Good lord… you may need some sort of hydraulic lift to lower that rock into a setting. Kim would be a great customer… probably a repeat customer!